Tax season is right around the corner, which means you may be getting a tax return. It may seem like a good idea to invest your refund into a dream vacation or a shopping spree, something you deserve after all your hard work. Instead, I urge you to invest in yourself, a pay off much greater than a week in the sun. If you have ever wanted to become more financially responsible, this may be the perfect time to start. I want to discuss the best ways that you can invest in yourself this year. One of the best ways to invest in yourself starts with changing the way you think and act with your money. The truth is that being financially healthy is an essential part of a well-balanced life. You may be saving your money for several reasons. Maybe for a dream vacation, expand your business, buy your first home, or simply have peace of mind. No matter the reason, you first need to assess, diagnose, and cure your financial health. Take the time to meditate and reflect on the limiting thoughts and beliefs that you have about money. You may experience fear, hopelessness, shame, or even guilt. What are the attitudes that are holding you back? Once you have identified the root of your early programming, it’s time to let go. A very effective technique I teach is to experience the negative feeling, confront it, and release it. Finally, replace it with a powerful affirmation. The affirmation will drive your everyday actions and motivate you to keep striving forward. It is also very helpful to visualize your dream life with a vision board. Feature images of what your life will look like when you create financial success. Make a complete and honest assessment of your current financial situation. Just as your physical health is critical, your financial health is also vital in many aspects. Especially in simply giving you peace of mind! Take the time to identify where you are now, and where you want to be. If you’re at the beginning stages, maybe you’d like to learn how to set and keep a budget. You might have already established your net-worth by now. You may need additional resources to assess your business’s financial statements. It’s crucial to have clarity about the condition of your financial health. We are creatures of habit. You’ll need to make the conscious decision to change whatever is necessary to achieve your next goal. Use visualization techniques to focus on the relationship between money and you. This might mean adopting a debt reduction plan, establishing a family savings plan, or figuring out the next steps to reduce your expenses and increase your cash flow. If you are getting some money back on your tax returns, this may be the perfect time to save it. This is possibly the most important step of the process to create financial success. Establish a step-by-step plan to reach your immediate goals. Ask yourself some of the following questions: What is the next step? How long will it take until it’s completed? How will I monitor my progress? Do I need to seek additional resources to help myself? When will I start? Don’t worry about getting it “perfect” the first time. It’s an ongoing process and you will undoubtedly make adjustments as you move along. My good friend Phil Town has a lot of great advice on his blog for beginners interested in learning how to invest. Just be sure to consider all your options, as you decide between investing in stocks, money, or even your time! No matter what your goal is, if you drive your results with an attitude of service, you will absolutely receive success. Acting from a place of service will complete your journey towards creating good and sound financial health. It will also make others happy in the process. These are the perfect ways to invest in yourself this year. So I want to leave you with a bit of homework, ask yourself the following: How can I help others? How can my product help others? Could I volunteer my time and help a great cause? What principles am I teaching my children? What will my legacy be? In order to receive, you must first give. Answer some of my questions in a comment below, and I’ll be sure to follow up with you! Get my free Daily Affirmations for Success Step-By-Step Guide. 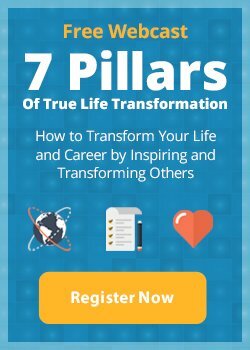 Discover how you can use affirmations to change your self-image, replace your limiting beliefs, and achieve success. Use this guide to elevate yourself to new levels of happiness and success in every area of your life.